This elegant eternity ring features a single row of claw set round cut natural Blue Sapphire reaching 100% around the ring. This high quality piece is crafted from solid 18k white gold. 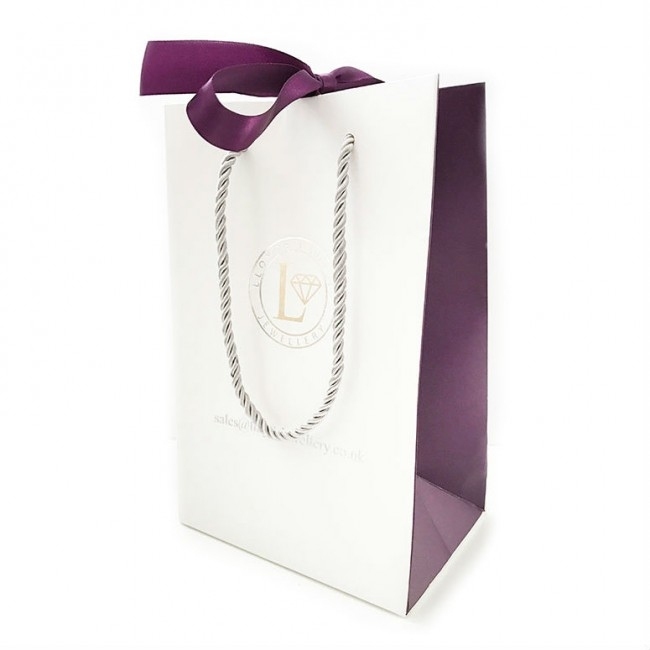 Delivered free with quality gift packaging, authenticity certificate and a full 12 month guarantee. Please note this rings dimensions, this is designed for those looking for a narrow elegant band, width 1.5mm. Also can be used as a stacking ring. DELIVERY TIME: Approximately 6-8 weeks. These are made specially to order please note specially made eternity rings are not included in our cancellation policy, please ensure the dimensions and ring size are suitable. We occasionally keep some stock so please feel free to check with us.